One of the things I miss about living in Toronto is getting the quarterly LCBO magazine, Food & Drink. 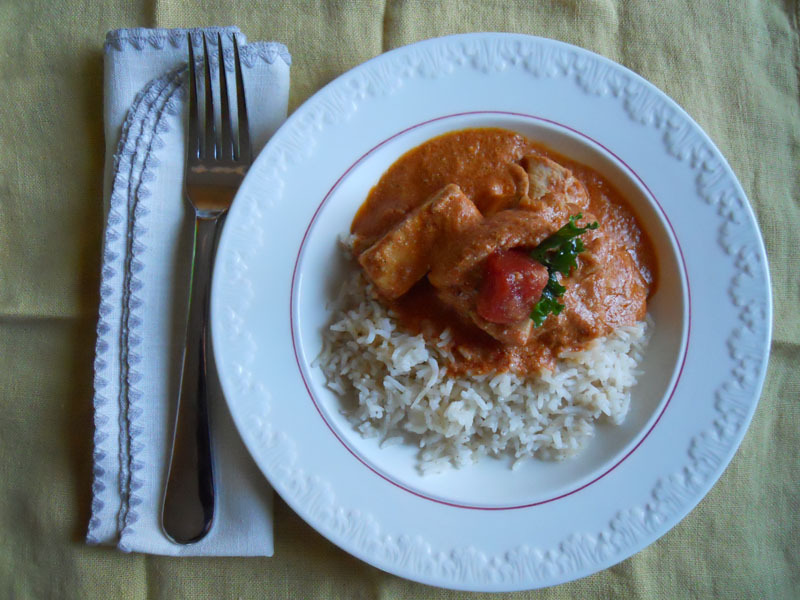 The recipes are some of the best I’ve ever tried, including this Butter Chicken. Seriously, this is a dish that you’ll want to break out when you really want to impress. 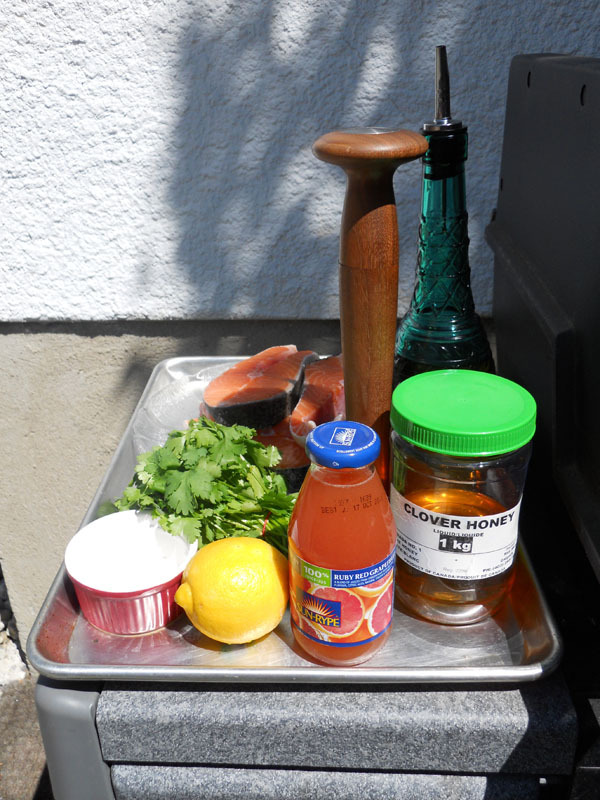 It looks like it’s complicated, but really it’s just the same ingredients added repeatedly at different stages of the process. 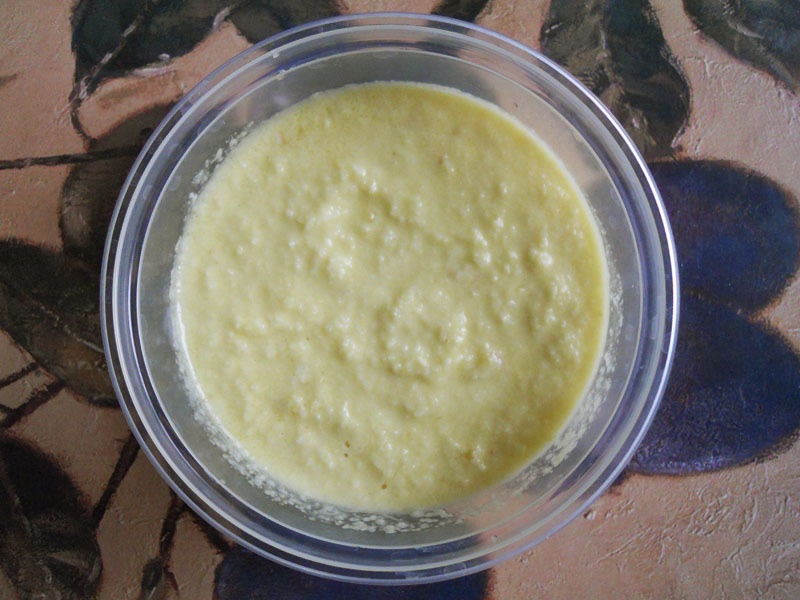 Especially a garlic-ginger purée that’s super easy to make and can be frozen for other uses. 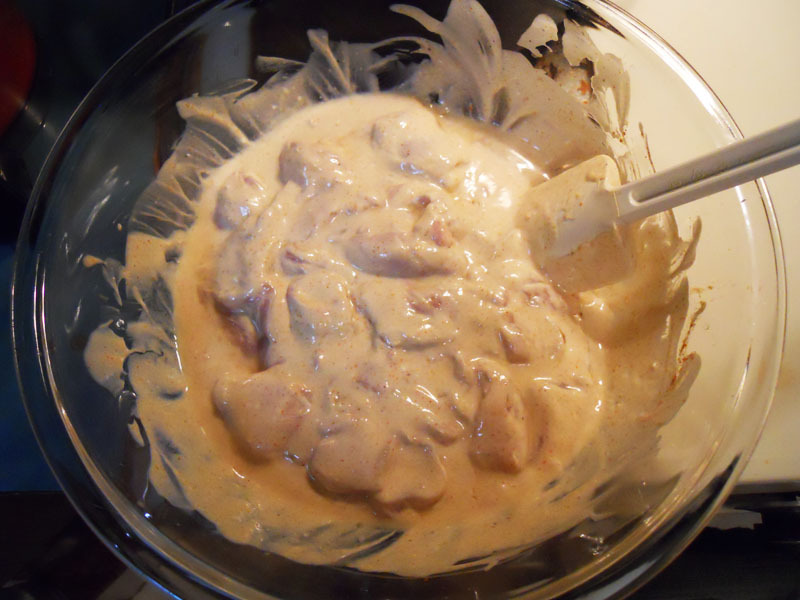 Chicken marinating in a spiced yogurt mixture. 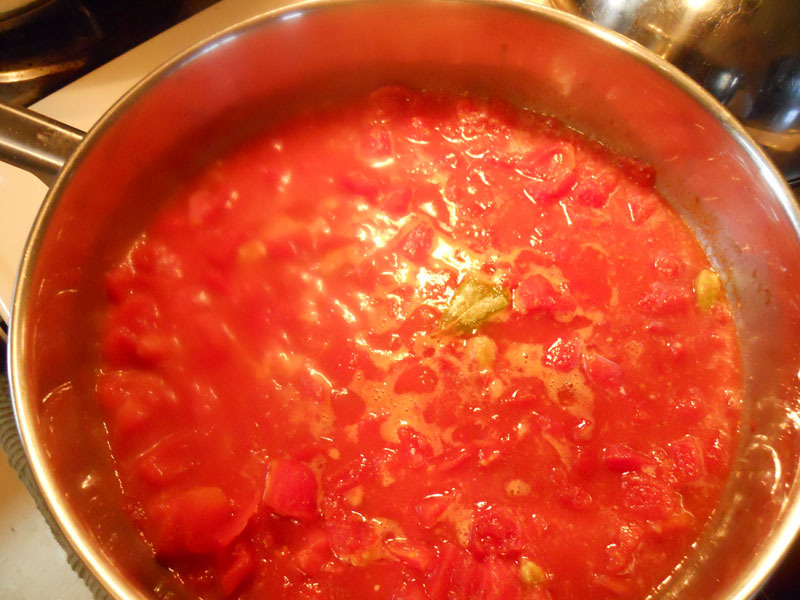 Tomatoes and spices boiling down. 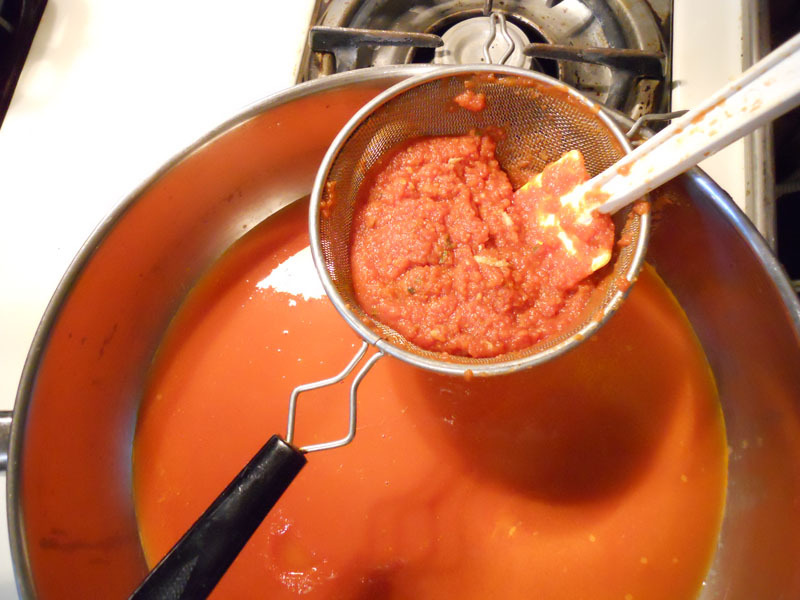 Sieving the tomato mixture after it has reduced. I made this for the latest Monday Night Supper Club potluck, which happened to be on Halloween. I dressed up in a beautiful sari I received as a gift and went East Indian style! Lori Andrews over at The 10 Cent Designer made this Cucumber Dill Salad that went perfectly. If using chicken, bake at 425 F for 10-12 mins. I was rooting around in the fridge for lunch the other day and came across a pair of salmon steaks that needed to be cooked off. It was a beautiful day so I cranked up the BBQ. A little experimenting resulted in this delicious cilantro-citrus sauce that goes well with most light fish and even shrimp.